Self-styled “Tuna King” Kiyoshi Kimura paid the top price, which doubled the previous record of ¥155 million from 2013. 引用元：Experts warn it faces possible extinction, with stocks of Pacific bluefin depleted by 96 percent from their pre-industrial levels. 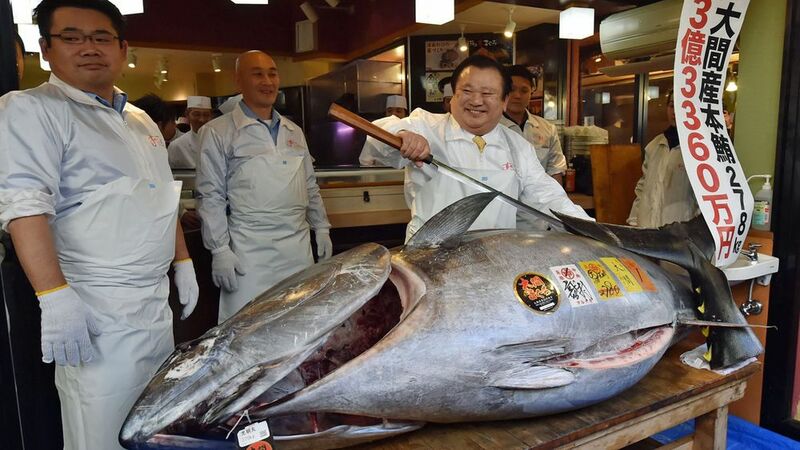 A self-proclaimed Japanese “Tuna King” and restaurant owner has paid a record $4.3 million for a giant bluefin tuna in a New Year’s auction.